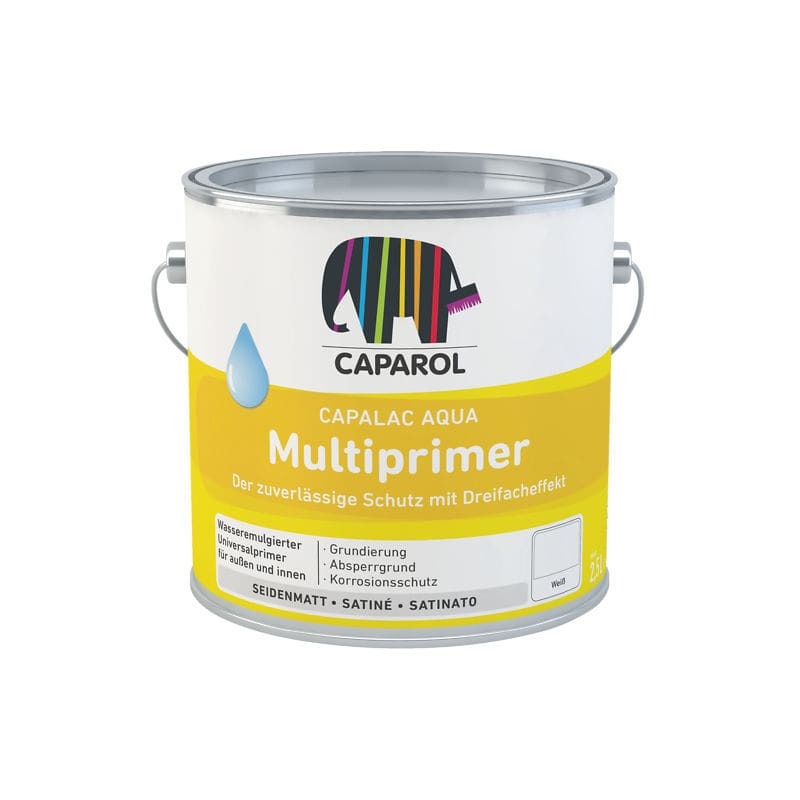 Water-thinnable grip coat · Primer-sealer for sealing wood extractives · Corrosion inhibiting primer for iron and steel · Suitable for exterior and interior use. Suitable for adhesion promoting priming coats on existing paint and enamel coatings, wood, zinc/galvanised substrates, copper, unplasticized/rigid PVC and many other substrates after having checked for good adhesion (cross cut adhesion test). Primer-sealer, effective against wood extractives. Corrosion inhibiting primer for iron and steel. Suitable for the application of subsequent finishing coats of Capalac Aqua PU-Alkyd Satin/Gloss, Capacryl PU-Satin/Gloss or Capadur Color Wetterschutzfarbe.